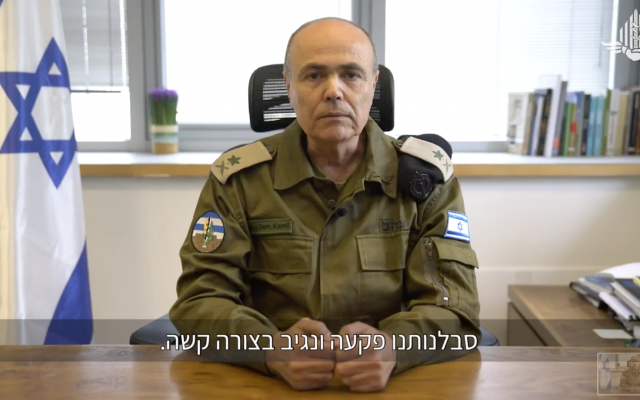 Israel’s military liaison to the Palestinians on Thursday threatened Gazans that Israel’s “patience has run out and we will respond severely” to those who take part in clashes along the border the next day. 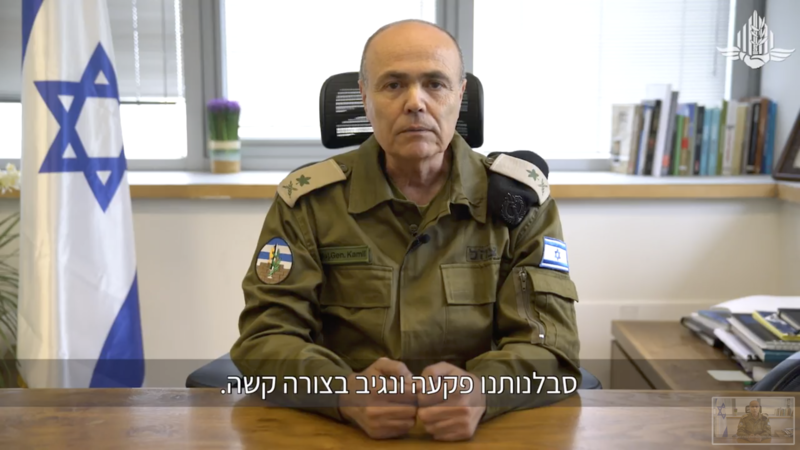 In an Arabic-language video, posted to his Facebook page, Maj. Gen. Kamil Abu Rukun — known formally as the Coordinator of Government Activities in the Territories — told Palestinians that Israel was adopting a zero-tolerance policy toward border violence. This week saw a massive, two-day battle between Israel and the Gaza-ruling Hamas, apparently prompting Abu Rukun’s video warning. A ceasefire, which was announced by Hamas on Tuesday evening but not officially confirmed by Israel, appeared to largely be holding as of Thursday night. Nevertheless, the Israeli military kept reinforcements in place and ordered troops to remain on high alert. “Anyone who approaches within 100 meters of the fence, will put himself at risk. Anyone who destroys the fence or tries to damage it, will put himself at risk. Anyone who tries to cross the security fence into Israel, will put himself at risk. 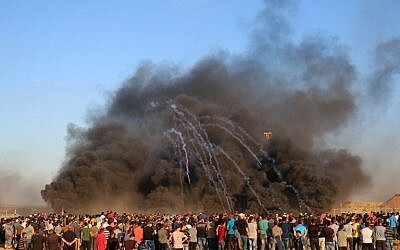 Since March 30, Friday afternoons have seen large-scale demonstrations, riots and clashes along the Gaza border as part of what’s known as the “Great March of Return,” which Israel maintains are being orchestrated by Hamas and are not, as many Palestinians claim, a grassroots protest movement. “Understand this before it is too late. See that you have been warned,” he said. These demonstrations have regularly included the activities mentioned by Abu Rukun in the video. In response, Israeli soldiers have used tear gas and live fire. 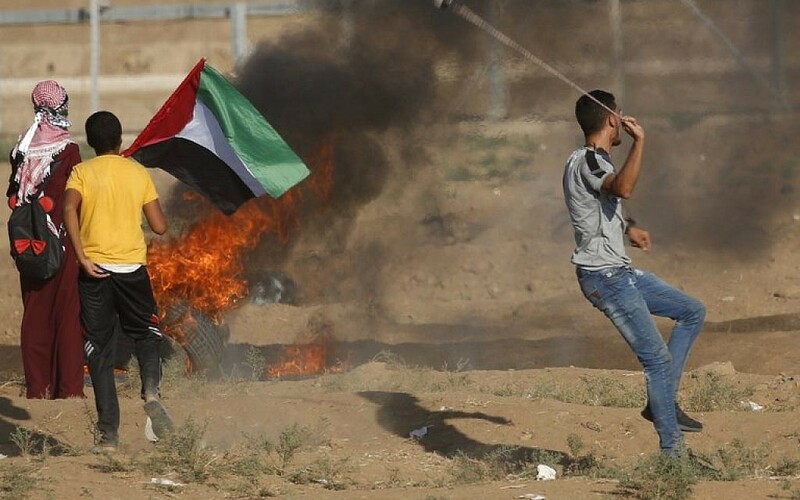 More than 160 Palestinians have been killed in border clashes since March. Terror groups have acknowledged that dozens of the dead were their members. A Palestinian sniper killed an Israeli soldier in July. 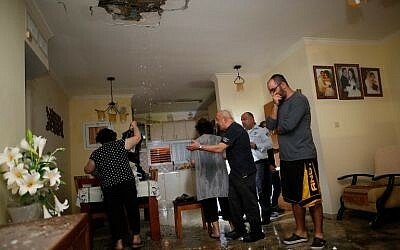 Abu Rukun’s warning came two days after some of the most ferocious fighting between Israel and terror groups in the Strip since the 2014 Gaza war. The government’s response during the flareup drew significant opprobrium from both the opposition and from within it, with critics calling it weak. On Wednesday, Defense Minsiter Avigdor Liberman announced he was resigning from his position in large part over the government’s policies toward Gaza.